AVISHAI MEKONEN has known both danger and adventure in his lifetime. He was born in Ethiopia, but at an early age was taken to Sudan and eventually to Israel as part of Operation Moses, a covert removal of Ethiopian Jews from Sudan during a famine in 1984. Today, Mekonen works as a photographer and filmmaker on projects that investigate issues of race and identity. 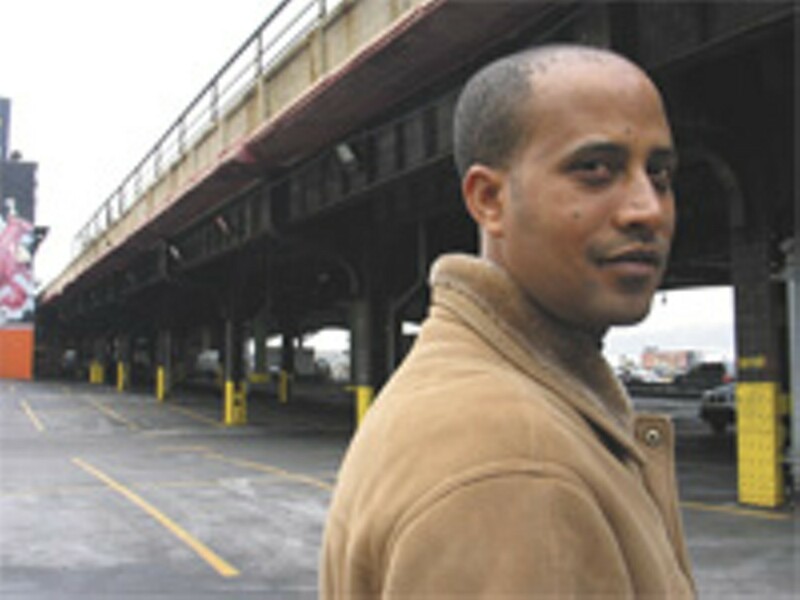 Mekonen has won many awards for his documentary work, which has been broadcast on Channel 1 in Israel. His work has screened at film festivals in Israel, Europe and the United States. In Savannah, Mekonen will present a youth workshop Feb. 5 at 3:30 p.m. at the Telfair’s Owens-Thomas House and a lecture that same day at 6:15 p.m. at the Jepson Center for the Arts on his project, Seven Generations, The project is a photography and sound series that explores an Ethiopian Jewish oral history tradition of counting a person’s ancestors back, up to seven generations, at key moments in life. Mekonen was brought to Savannah by MorningStar Cultural Arts Group as part of the Finding Oneself Series, and also as part of the Savannah Black Heritage Festival. Both events are free, but the workshop requires advance registration by calling 927-9922 or visiting www.morningstararts.org. We recently had an e-mail exchange with Mekonen about his life and work. How old were you when you left Ethiopia? What was your life like there? Avishai Mekonen: I was very young, around 9. We lived a quiet, rural life in the northern mountains of Ethiopia. But when it became dangerous to be Jewish with the advent of the dictatorship in the early 1980s, my community decided to seek religious freedom and fulfill our ancient dream and, after 2,500 years, return to Jerusalem. We undertook a treacherous journey out of Ethiopia and into Sudan and after a year we became part of Israel’s Operation Moses, the secret airlift of Ethiopian Jews from Sudan to Israel. How and why did you come to the U.S? Avishai Mekonen: I was not planning to come to the United States, but I met my American wife in Israel, we got married, and we decided to live in New York City. Like many Israelis who explore the world and make a living after their army experience, I also wanted to see what life would bring here. Why did you become a photographer, filmmaker and oral historian? Avishai Mekonen: One of the main problems in our community is the issue of representation, in that Ethiopian Jews are often represented in ways that are considered negative, inaccurate, and rarely, if ever, from an Ethiopian point of view. My goal is to offer an alternative view into our culture, to honor our past and to preserve an endangered part of our history while acknowledging the effects of assimilation. Tell me about Seven Generations and about the Ethiopian Jewish tradition of counting one’s ancestors back seven generations. Avishai Mekonen: Seven Generations is a photography and video project that explores the assimilation of the Ethiopian Jewish population in Israel. The central metaphor for the Seven Generations project is the ancient tradition of counting generations in which the kessim (Ethiopian rabbis) and community elders name members of an individual’s ancestry. Generation counting occurs most often before weddings to ensure no blood relation between potential bride and groom. For a marriage to receive the blessings of the family and the community, the elders must count back seven generations before finding a familial relation. 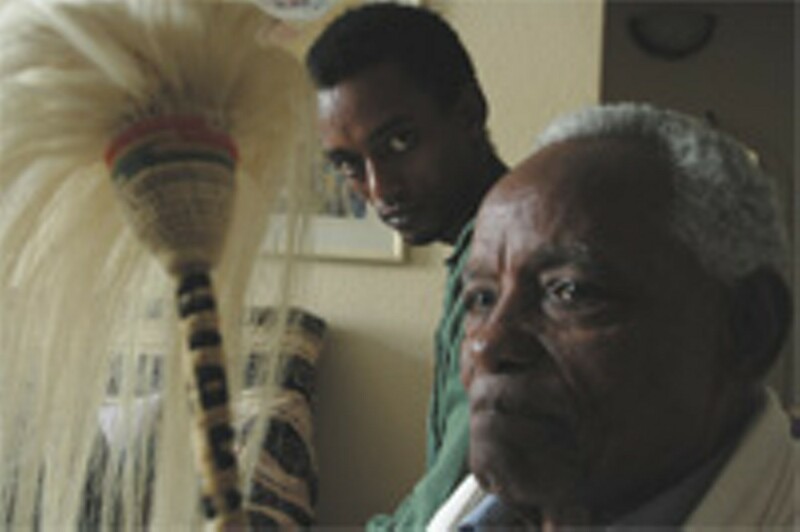 Rooted in the spoken word, the custom of counting generations was preserved during the journey from Ethiopia to Israel. But the very characteristic that allowed the custom to move to a new a land now threatens its future; a language barrier has developed between Amharic-speaking elders and Hebrew-fluent youths. Is it true you will conduct a program with young people while you are in Savannah? What will you tell them? Avishai Mekonen: I am very much looking forward to this program. I will be presenting this project, and also discussing ways that people can look to their own pasts and create their own family trees. What do you hope the audience will learn from the lecture program? Avishai Mekonen: My guess is that when people see the photos and watch the videos of Seven Generations, they will recognize a universal immigrant experience that transcends time and borders. Certainly this has been a common experience in the United States, to have culture gaps between generations of immigrants. What other projects have you done? What are you working on now? Avishai Mekonen: I have directed, produced, written, assistant directed and acted in numerous dramatic, documentary and news programs for Israeli television and international distribution, including the award-winning documentary Video Flour, which screened widely at international film festivals and was broadcast primetime on Israel’s premiere network. I am currently working on a feature documentary film, co-directed with my wife and partner, Shari Rothfarb Mekonen, called 400 Miles to Freedom. It is a personal point-of-view documentary that explores racial and ethnic diversity in Judaism through the personal story of my disappearance in Sudan as a boy that launches a quest leading me to other African, Asian and Latino Jews in Israel and in the United States. The trailer toured the U.S. from 2005-2007 as part of the exhibition, The Jewish Identity Project: New American Photography, which originated at the Jewish Museum in New York City, and traveled to the Skirball Museum in Los Angeles and the San Francisco Contemporary Jewish Museum. The trailer was hailed by the New York Village Voice as “revelatory” and, along with the exhibition, was reviewed positively by the New York Times and other press. We hope the film will be finished in 2009. How did your visit to Savannah come about? Meet and dine with the filmmaker.When: Feb. 5, 3:30-5:30pm.Where: Owens-Thomas House.Cost: Free, but registration is required.Info: www.morningstararts.org, 652-3582. Avishai Mekonen: Seven GenerationsFilmmaker presents a multi-media lecture.When: Feb. 5, 6:15-7:30pm.Where: Jepson Center for the Arts.Cost: Free.Info: www.morningstararts.org, 652-3582.